Erica arborea 'Estrella Gold' is a small, slow growing evergreen shrub, a member of the Tree Heath family, with feathery, lime-green, tipped golden yellow foliage, that is particularly bright during the Spring and early Summer. 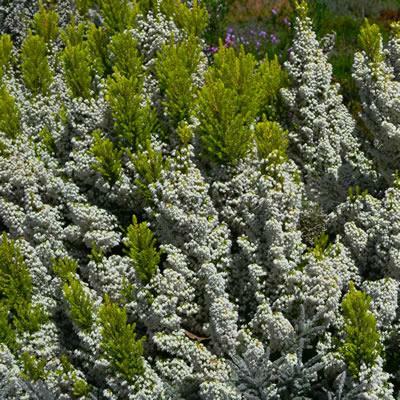 This compact, bushy plant covers itself in clusters of small, lightly scented white flowers during early Spring. Reaching a height of 1m x 60cm after 10 years, so ideal to be grown in a container if desired or planted in the border.